Having opened Kentucky’s first distillery on the banks of the Ohio River in 1783, Evan Williams has been around for many years and many whiskey barrels. They produce a quality bourbon that is a fantastic introduction for those that aren’t whiskey drinkers. 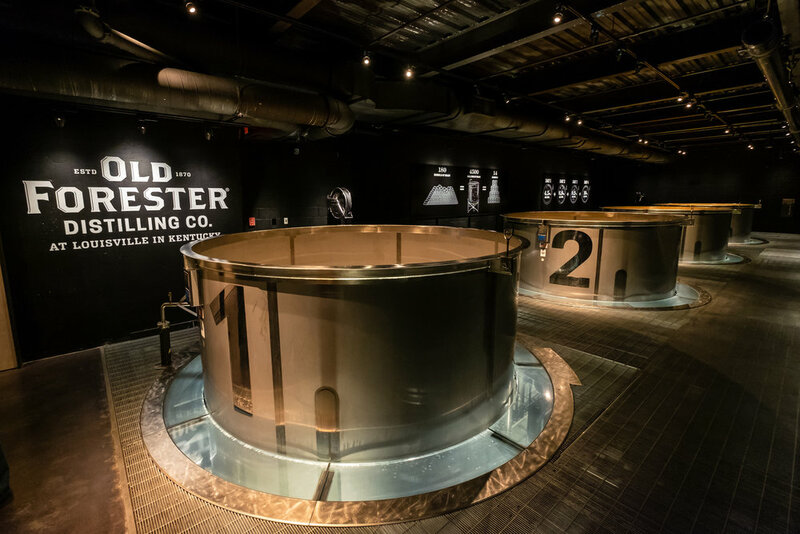 The Evan Williams Bourbon Experience will offer the history of how Louisville was settled and became the bourbon mecca that it is today, knowledgeable guides that will share the process of distilling bourbon, and a whiskey tasting at the end of the tour. The 1 hour tastings are $14/person, and you can make reservations here. Enjoy! A modern speakeasy hidden behind a moving painting is cool on its own… but throw a bowling alley into the mix, and now we’re really talking! 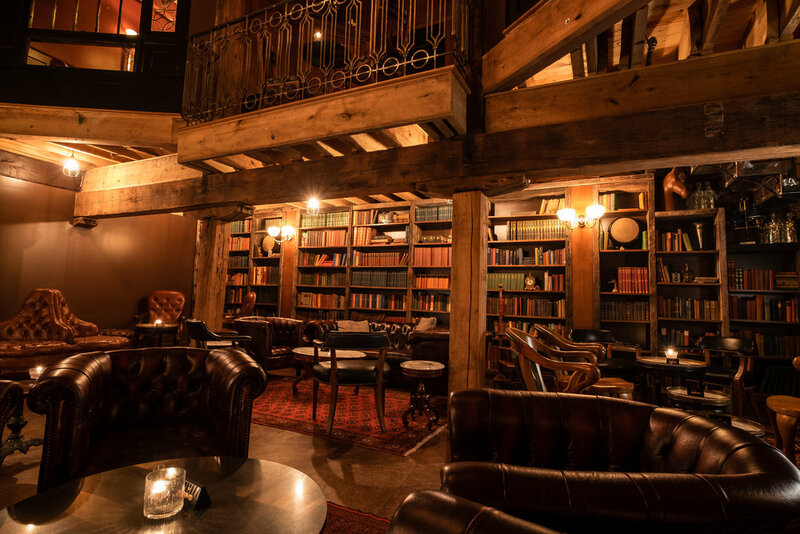 Pin & Proof is located in the luxurious Omni Louisville, tucked away behind a modern painting near the Library Bar. From the moment you step inside you feel as though you’ve entered into a dimly-lit labyrinth. Whether or not you decide to bowl, the bar alone is worth a visit. Try their 1881 Old Fashioned! Listed on the National Register of Historic Places, The Brown Hotel is famous not only for its glamorous architectural features, but for its iconic Lobby Bar as well! You’ll find classic comfort food like Lobster Mac and Cheese, The Hot Brown, and Derby Pie, and you’ll find handcrafted cocktails and bourbon flights that’ll please anyone’s palette. We suggest trying their Mint Julep, featuring Jim Beam bourbon, simple syrup, and lots of fresh mint. The Lobby Bar has been named One of 150 Best Bars in America for 2019, and it’s easy to see why! This restored early 1900’s bar not only has an impressive bourbon collection, but some celebrated craft cocktails too! Located in the famed Seelbach Hilton, The Old Seelbach Bar has been visited by many a famous face over the years - most recently Billy Joel was spotted playing the bar’s piano! Try their popular “Seelbach Cocktail”, made with Old Forester Bourbon, cointreau bitters and sparkling wine!